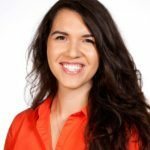 Erica Tafavoti is an inbound marketing expert at Pipeline ROI, real estate's first complete inbound marketing platform. She delivers high-value marketing content and ideas that help real estate agents and brokers win more business through inbound marketing methods. She also writes for Pipeline ROI’s real estate and lending blog. You can follow Erica’s posts on Twitter at @etafavoti and @PipelineROI. As the number inside of the red bubble at the bottom of your phone screen grows, a certain sense of anxiety tends to come with it. How bad is your inbox? Double digits? Triple? I know a few iPhones ago, I let my personal email get to several thousand (mostly junk) messages that I just could never seem to get rid of. We all know that the things you leave to the end of the day are the least likely to get done. However, there are certain tools and strategies that can help you automate your social media, so you can manage your marketing in as little time as possible. Here’s how to do it. You’re probably familiar with the term “inbound marketing.” And if you’re like many busy real estate professionals, you may have decided that it’s just not worth the time and investment to take on a new marketing strategy. If you’ve been looking for a reason to use Twitter for your real estate business, you may have just found one. In a deal reported by “Bloomberg Business” last week, Google has gained access to Twitter’s “firehose stream” of data. Google’s Chrome browser comes packed with thousands of extensions that can simplify your life. Similar to apps on your smartphone, these extensions range in functionality from social media to productivity and security. There are hundreds of factors that Google considers when they send their bots off to crawl your website. Google bots analyze and interpret web pages inside and out based on a combination of factors, also known as an algorithm, to see how relevant and helpful content will be for particular searches.